They are off and running at Rillito Park Race Track, continuing a tradition that began in 1943. 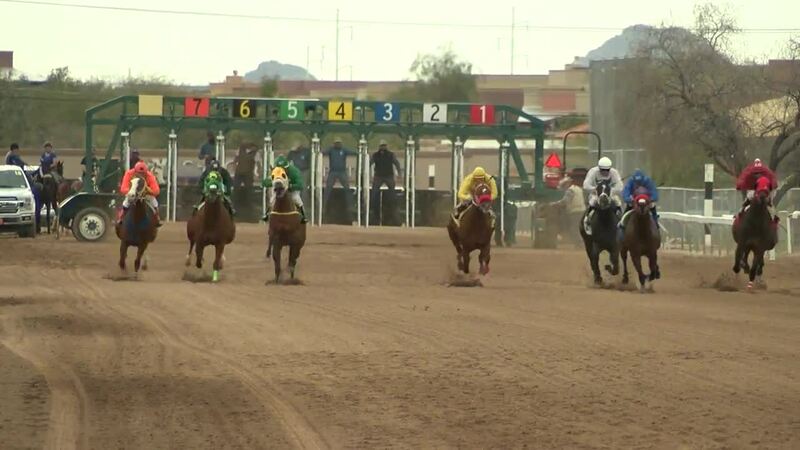 TUCSON, Ariz. — They are off and running at Rillito Park Race Track, continuing a tradition that began in 1943. "This is the birthplace of Quarter Horses," said Rillito General Manager Mike Weiss. "And the first track in the world to use the photo finish camera." The speed of the Quarter Horses led to the invention at Rillito. "It was a high-speed film," explained Rillito President Jay Wells. "They could actually get it to a thousandth of a second. In the 40s that is pretty interesting." Rillito has seen some of the sports most famous Quarter Horses. Most of them came from the stud farm of Rukin Jelks, located just behind the back stretch at Rillito. "He took a thoroughbred from Kentucky named Piggin String and brought him out here and started breeding him," said Wells. "Within three years every world champion came from this stable." Wells explains that within a two years they built the Quarter Horse track right next to the Jelks Stable, literally in his backyard. That stable has recently been restored by Wells, and will soon house the Rillito Horse Racing Heritage Museum. It will also be the new home for the Arizona Quarter Horse Hall of Fame. The Hall of Fame will have a special section honoring Rillito's most famous alum Bob Baffert. The two-time Triple Crown winning trainer got his start at Rillito. Rillito fell on hard times and even closed for a time in the 1980s. It has struggled to stay open since. But thanks to the non-profit Rillito Park Foundation, and with the help of the University of Arizona's Race Track Industry Program, Rillito is again on solid ground. Wells pointed out, "Our relationship with the University of Arizona and the interns getting their skills here, we don't just represent the history, but we represent the future of racing too." "I work along with the university and we have students whose hearts are so into this," said Weiss. "They love horse racing, want to see this place survive. So I'll have 25 or 30 students from the school out here literally running this track." A UA grad himself, Weiss got his start at Rillito. Now he has student interns doing everything from handicapping the horses, to running the TV broadcast that is simulcast to other tracks around the country. "I think we did about an extra $750,000 in wagers last season," said Weiss. "We hope to increase that, I want to hit that million dollar mark." Rillito's Winter Meet runs for six weekends through March 17. Post time each Saturday and Sunday is 1:30 p.m.